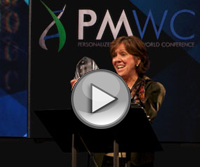 Track 2 offers pre-selected, emerging companies defining the next generation of personalized medicine platforms and technologies the chance to compete for the PMWC 2013 Israel Most Promising Company Award. Companies gain exposure and establish connections with potential clients, partners, investors. The top three companies will be chosen by a panel of VC judges to present in Track 1 (main track) to the judges and the audience, who will then vote on a winner at the end of Day 2, June 30th. Ask Medic is a personal health solutions company founded in 2010 to assist healthcare professionals in providing better healthcare, reducing costs and improving customer satisfaction through PHR advanced tools. BioGenCell's lead product, BGC101, is designed to regenerate blood supply in patients suffering from blood vessel insufficiency and peripheral vascular diseases that cause multiple organ failure. The product, which is based on the patient's own blood, is supplied to the physician in a ready-to-use syringe that is sufficient for a single treatment session with long-lasting therapeutic effects. Cell Cure Neurosciences is developing a cell therapy product for the treatment of dry age-related macular degeneration, a major disease of aging for which there is no FDA approved treatment. The EarlySense System is a continuous patient monitoring solution transforming healthcare in hospitals and rehabilitation homes worldwide by monitoring patients’ heart rate, respiratory and movement – without ever touching the patients. A flow-through, immunomagnetic rare cell isolation platform with improved recovery, purity and viability of target cells that enables the development of novel clinical, therapeutic and diagnostic applications with unmet needs. BioGaming helps therapists and patients materially improve their physical rehabilitation programs. By using an innovative gamification solution that provides better and quicker rehabilitation results. ElMindA’s mission is to transform state-of-the-art neuroscience into daily clinical practice for every neurology and psychiatry clinic with objective measurement and augmentation of brain function, dysfunction, disease progression and recovery. Owned by Hadassah Medical Center, Enlivex is developing a patient-specific (HLA matched) cell therapy drug product (ApoCell) comprised of early, stable apoptotic cells for GVHD and other autoimmune and inflammatory conditions. ApoCell uses a physiological mechanism to induce tolerance while avoiding harmful immune suppression means. Genefron Ltd. is an Israeli company specializing in analyzing genomic data using bioinformatics novel developments allowing personal based genomic diagnostics and treatment. IMPRODIA designs prognostic/diagnostic kits using biomarkers for detecting the immune status of a large group of diseases characterized by chronic inflammation and ensuing immunosuppression. Innovo Mimetics' technology lets doctors and researchers test cancer drugs on patients' actual tumor cells before commencing treatment. Kyma Medical Technologies has developed an innovative approach for remote monitoring of heart failure (CHF) patients. The leading cause of re-hospitalizations for CHF patients is fluid build-up in the lungs (pulmonary congestion), a possibly fatal condition. Hospitalizations inflict a substantial cost burden on the healthcare system. Kyma is about to change the way monitoring is done for the benefit of the patients and the health system. Marx Biotechnology, which is presently focused on developing a diagnostic kit for the early detection of Graft-versus-Host-Disease (GVHD), is dedicated to providing novel diagnostic and therapeutic solutions. MediSafe Project is a cloud-based Medication Relations Management system, focused on solving non adherence for pharma companies – raising adherence from 50% to 80% reported adherence, with over 2,000,000 doses. MedPal aims to enhance patients’ quality of life, reduce healthcare costs, and increase medication sales with comprehensive medication compliance solutions. Nucleix is a biotechnology company focused on the development and commercialization of non-invasive, molecular diagnostic tests utilizing our revolutionary MethyMatics™ and MethylPrecise™ technologies. Our first product, Bladder EpiCheck™ is a urine test based on identification of multiple methylated cancer DNA biomarkers for diagnosis and surveillance of bladder cancer. 10 million people die yearly from sudden cardiac/pulmonary dysfunction. 100 million at the significant risk of death. 40% of attacks happen unwitnessed. Oxitone’s mission is to dramatically improve patient safety. Sensewiser is developing novel solutions for non-intrusive health monitors to be used in Telehealth and Mobile health applications. New Biology Ventures, LLC Oppenheimer & Co.